We have spent our summer working on the Bible Study Guide for All Ages program. We received materials for the Beginner Level (age 3 through Kindergarten) and Primary Level (Grades 3-4). Damien, Jude, and Celia were the students. What intrigued me was that the lessons are designed to so a single lesson can be taught to an entire range of ages. Everyone learns at his or her own level, but it's the same story. I told you it was a heavy box - it was packed full of good things! Let's start with the beginners. The website tabs suggest this program for children ages 3 to Kindergarten, yet in the text is says for ages 4 and up. I originally thought that Damien would be able to take part in this program. Although his is a new three, I hoped he'd be able to work, at least a little bit, "at his level." I supposed you could call it "his level" - and any exposure to the Bible is better than none - but he really was unable to participate in any real meaningful way. He doesn't have the ability to sit and listen to a story. I definitely think the ages 4-5 is a much more realistic target age. However, he did enjoy the Bible Study songs. I think for a very young child, this is sufficient - exposing him to the stories/people of the Bible. I think just listening to the music, he is learning, and will be prepared for a more textbook/formal program when he gets older. Jude had a similar problem in his inability to really listen to the stories and decipher the answers to the questions. That said, he is not necessarily an auditory learner - while he too enjoyed the CD, he does not learn by listening to spoken words. He liked the music because he could sing and dance along with it, providing a more sensory-rich learning. There also was a lot of learning through scripted role-playing scenarios, and he didn't grasp those either. Between Jude's auditory issues and autism, the text just went like a lead balloon. The program starts out with the story of Israel's son, Joseph, his multi-colored coat, and how his brothers sold him to slave traders. Having studied the story of Joseph last year, Jude did well with the very first lessons - he remembered the coat, and how he had so many brothers, and how one had his name (Judah). I thought maybe he was picking things up listening to Celia and me reading aloud. However, once we tried to work in the workbook, I just lost him. When we learned about Joseph last year, I incorporated videos and arts and crafts to help him learn using visual and tactile exercises. 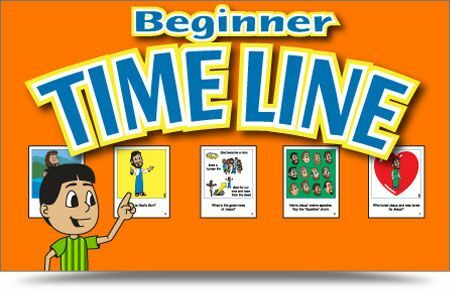 The Beginner time line, a set of oversized cards, had bright colors and child-friendly illustrations. He liked the pictures, but he couldn't remember enough of the stories he heard to understand what the pictures stood for. As much as I wanted this to work for the little boys - I had hoped to continue using it this fall - the text portion just wasn't a good fit. We will continue to listen to the CD, though. Celia worked on the Intermediate level. This program suited her perfectly. She is a very strong reader, so reading and then sorting the information was easy for her. I had told her that the review requirements were "two lessons per week" - as happy as I was that she was exceited, she didn't need to do four lessons in a day (every day)! The only way to slow her down was to require her to copy some of the Bible verses - eventually her hand hurt too much to write! (One of her summer requirements was to "practice her penmanship," so copying Bible verses was a perfect opportunity!) The lessons were short (only about 15-20 minutes each) that she would just keep going and do "one more...one more...one more..."
She also loved the CD. She's also a very auditory learner - she had Sons of Jacob memorized in an afternoon. Like the younger program, the Intermediate program also uses a set of Summary Cards. Celia liked these. If I was using this as a for-a-grade program, they would be a great initiative for an oral examination, using the picture as a cue for the student to discuss the Bible passages. There are three things I really liked about the program. First, it works with ANY translation of the Bible. We're Roman Catholic, so we read from the New American Bible - Revised Edition (NABRE). Many Bible studies include Bible passages from a different text (either NIV, or KJV, etc.) with wording that is unfamiliar to us. This program only lists the passages to be read, and leaves it to the family to provide a Bible that corresponds with its faith. This makes it suitable for any Christian family, not just ones who read the particular translation that the publisher has chosen. Second, it doesn't start with "In the beginning..."
Did you just gasp? Hear the creators of the program out. I think this is an exceptional way to study the Bible. Last year, we started with a program that did start in Genesis and studied the Bible chronlogically. We were well past Christmas and still slogging through the Old Testament. We did learn a lot about the people of the Old Testament, but it felt like we would never get to Jesus - the most important figure of Christianity! Moving through at a slightly faster - and integrated - rate gets to the crux (or crucifix!) of faith. It also helps to make connections between the Old and New Testaments, especially the foreshadowing that much of the Old Testament contains. 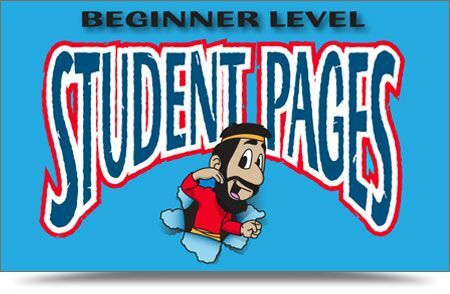 Jude/Beginner: Jacob had twelve sons and four wives. Between getting his coat from their father and his dreams, it was obvious he was the favorite, and his brothers became angry because he was the favorite one. Celia/Intermediate: Explore the lineage of Joseph (Abraham, Isaac, Jacob, Joseph). Jacob had twelve sons and four wives. Reuben, Simeon, Levi, Judah, Issachar and Zebulun were Leah's sons, Joseph and Benjamin were Rachel's, Bilhah's sons were Dan and Naphtali, and Gan and Asher called Zilpah "Mom." Explore the feelings that the brothers had toward Joseph, and how telling them about his dreams made him disliked all the more. Even though they were studying the exact same passages, look at how each was learning -- at a developmentally appropriate pace. Finally, although it is only "recommended" or "helpful" for the program, I think the CD is the best part of the program. It was the only thing that truly spanned all ages and learning styles. 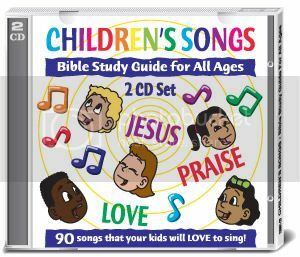 Even if you're not ready for a formal Bible program, I would use this as just "listening music" for young children during quiet time, a car ride, etc. Jude isn't memorizing the songs like Celia, but he is learning. (Luke's full name is Benjamin Luke. At a doctor's office, somebody called "Benjamin" and Jude interjected, "That's Joseph's little brother!") I think the younger ones learned more from the CD than the text, and Celia couldn't wait to go back to school and tell her teacher that she finally knew all the brothers' names - she had me post the above video on Facebook and tag her teacher so she'd see it. 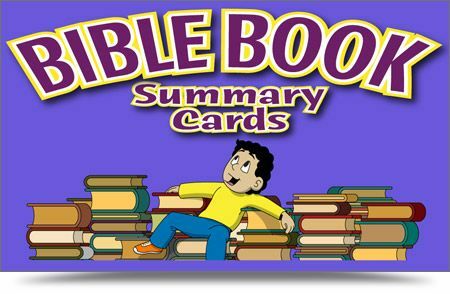 Overall, I liked the Bible Study Guide for All Ages program. The concept of moving around the Bible allows for the student to maintain interest. Starting small and adding on is good - it means that Celia didn't feel like she "already knew everything" - she knew the foundation, and added on. I think that music is a fantastic way to learn, and the kids proved that by how much they took away from the CD. I loved how this uses any Bible, so we were able to use the translation that we are familiar with. I also think that this program would be a fantastic addition for a non-Christian to use for a purely academic Bible Study. 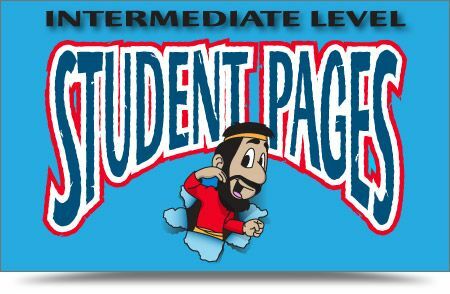 I didn't receive the "older student" programs (click the banner below to see reviews on those), but I think the Intermediate program would be a great way to learn about the Jewish and Christian Scriptures. If you have a strong reader (or a student who is an avid listener), this is a Bible Study program I would strongly recommend, no matter what your faith tradition is.